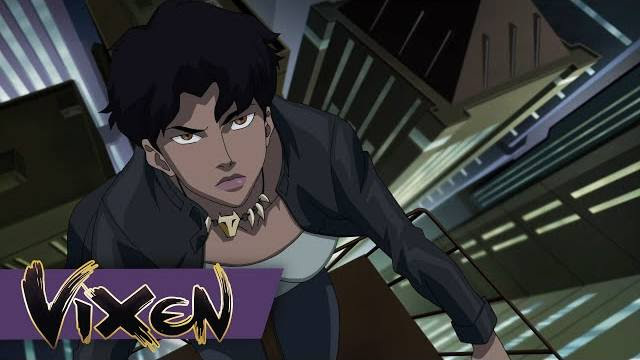 Meet DC Comics' newest hero when Vixen premieres August 25 on CW Seed. The CW's superhero universe continues to expand with another entry adding to their line-up of Arrow, The Flash, and Legends of Tomorrow. Only this time the show is animated and on their web channel The CW Seed. Vixen exists in the same world as its live-action couterparts and stars some familiar voices. The first trailer was released today at Comic-Con. Stephen Amell and Grant Gustin who play the Green Arrow and The Flash respectively, will also voice the same heroes on the animated web series. Carlos Valdes (Cisco Ramon on The Flash) and Emily Bett Rickards (Felicity Smoak on Arrow) will also reprise their characters. Melyn Echikunwoke is voicing Mari McCabe/Vixen and hopefully she'll be joining her voice castmates in live-action real soon. Originally from Africa, Mari McCabe’s parents were killed by local greed, corruption, and wanton violence. But the orphaned Mari refuses to succumb to the terrors surrounding her. Inheriting her family’s Tantu Totem, Mari can access the powers of animals – anything from the super-strength of a gorilla to the speed of a cheetah. As Vixen, she fights valiantly to protect the world from threats like those that claimed her family.